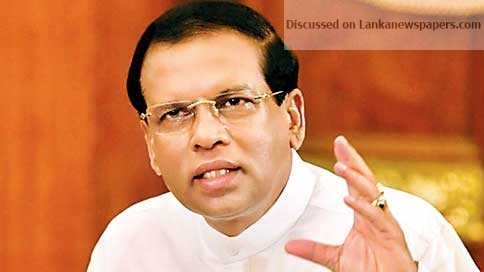 While claiming that the decision taken on October 26 was correct, President Maithripala Sirisena today said he would resolve the political instability in the country within a week. He expressed these views while speaking at the special Sri Lanka Freedom Party (SLFP) convention held at the Sugathadasa Indoor Stadium in Colombo. At the convention, the President said he will not reappoint UNP Leader Ranil Wickremesinghe as the Prime Minister even if all 225 MPs requested him to do so.